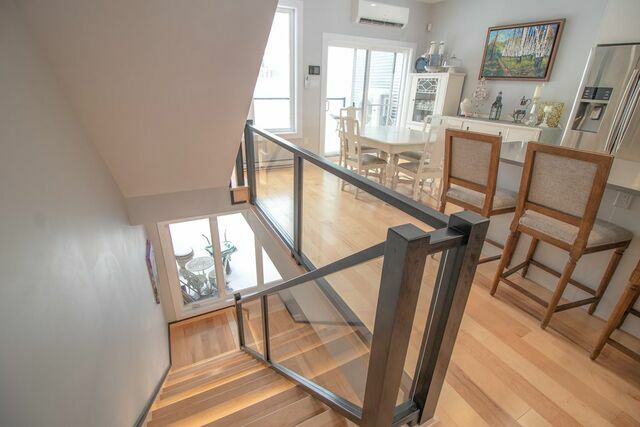 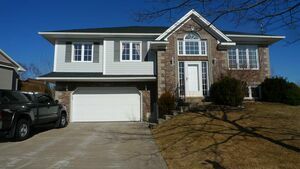 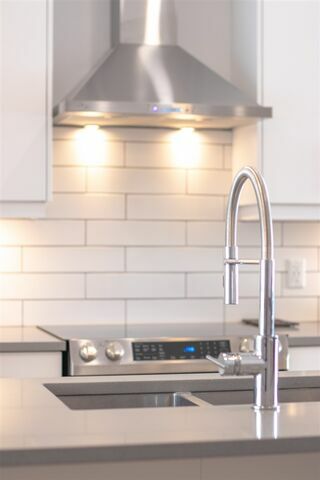 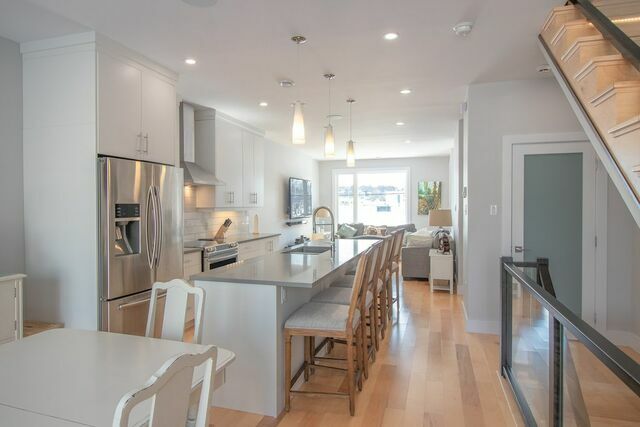 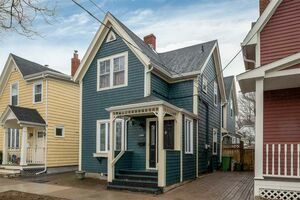 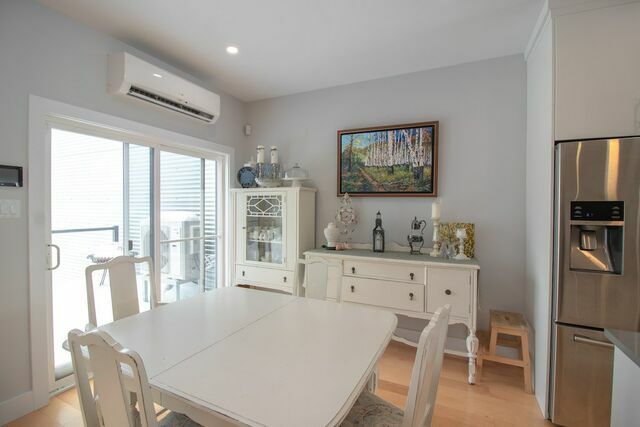 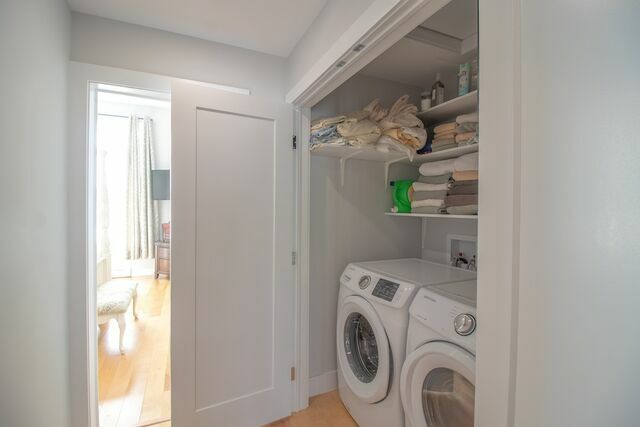 6469 Dudley Street, West End (MLS® 201904276 ) ***Open house Sunday, April 14th, 2-4 PM*** Newly constructed townhouse conveniently located in the west end of Halifax. 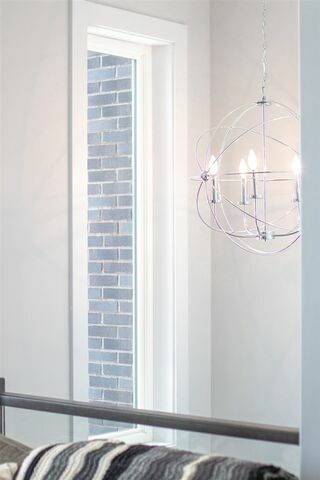 This unique concept envisaging both sleek linearity and skilled craftsmanship makes this residence so special. 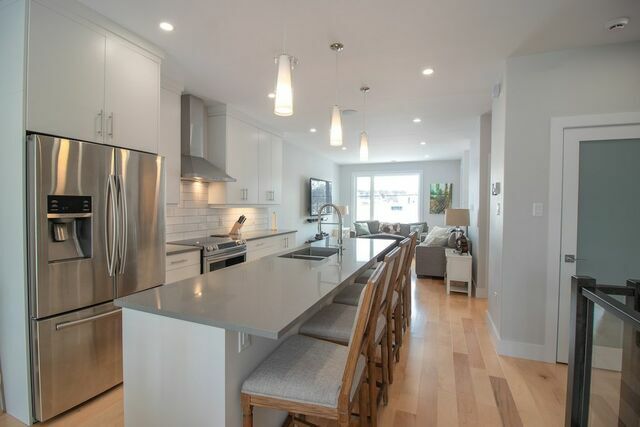 High end finishes are complemented by state of the art technologies, sleek modern and straight forward design throughout with light maple hardwood floors and stairs, glass rails, quartz counters, and gray accents. 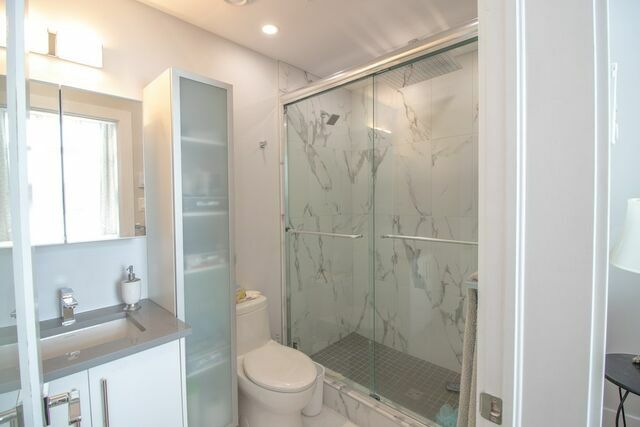 Polished chrome fixtures and Carrera tile in the bathrooms add a splash of elegance. 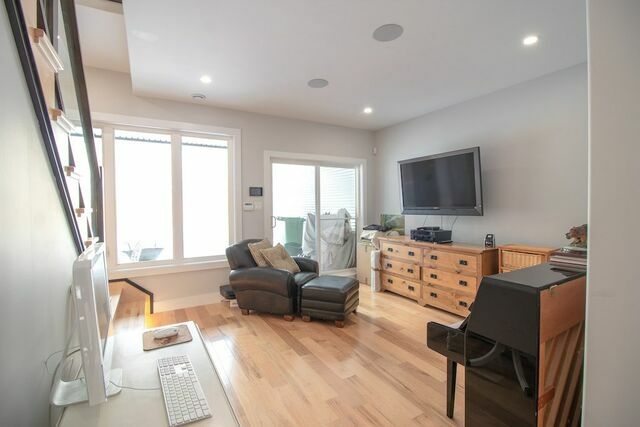 Lots of natural light from the abundance of large windows and the carefully planned lighting concept including instair lighting. 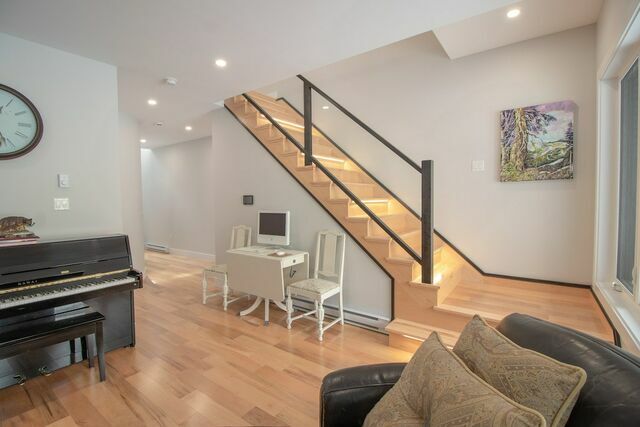 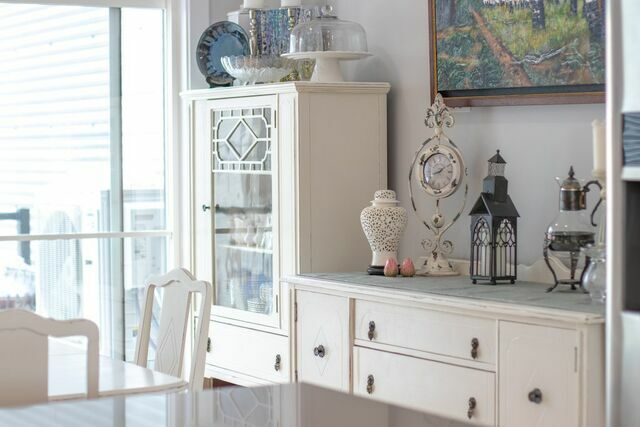 The layout is perfect for those that like to entertain. 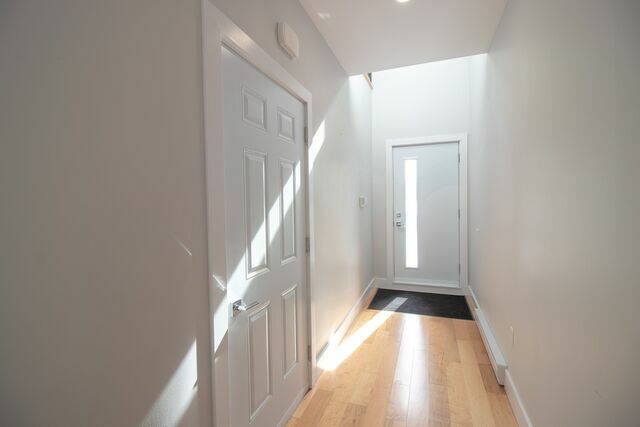 The basement has a large bright rec-room with patio doors leading to a large, private, partially covered courtyard with aggregate stone. 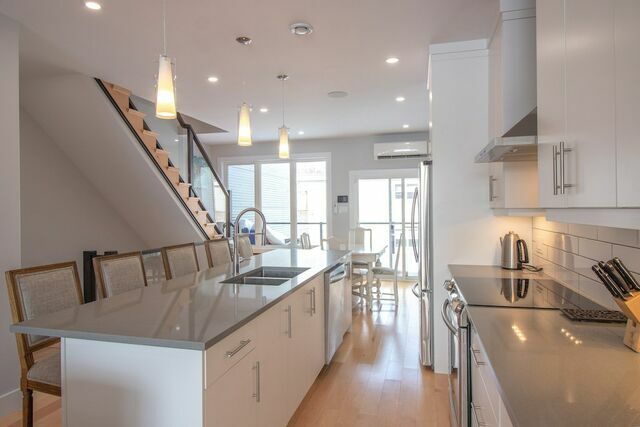 The main level is wide open from front to back with the open concept living and dining area with the kitchen at the center of it all, featuring floor to ceiling cabinets and a 12 foot island. 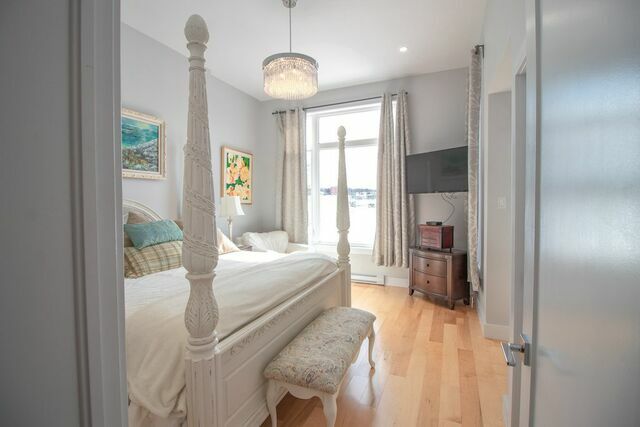 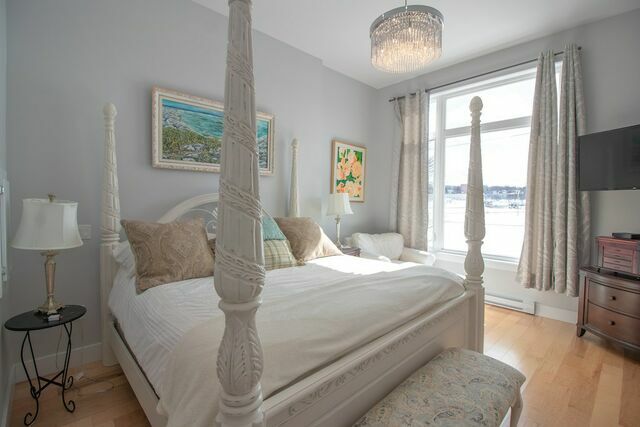 Upstairs has two large bedrooms each with their own luxurious en-suites and walk-in closets. 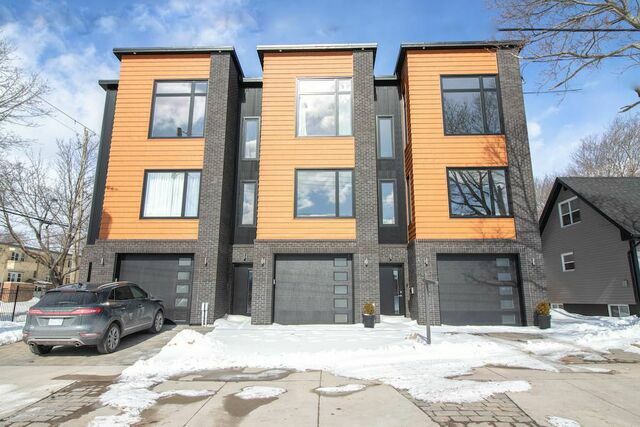 This home is built for those that enjoy the urban lifestyle without compromising on size or efficiency.